This fun little one-panel comic strip feels reminiscent of The Far Side, but was around decades before that strip. 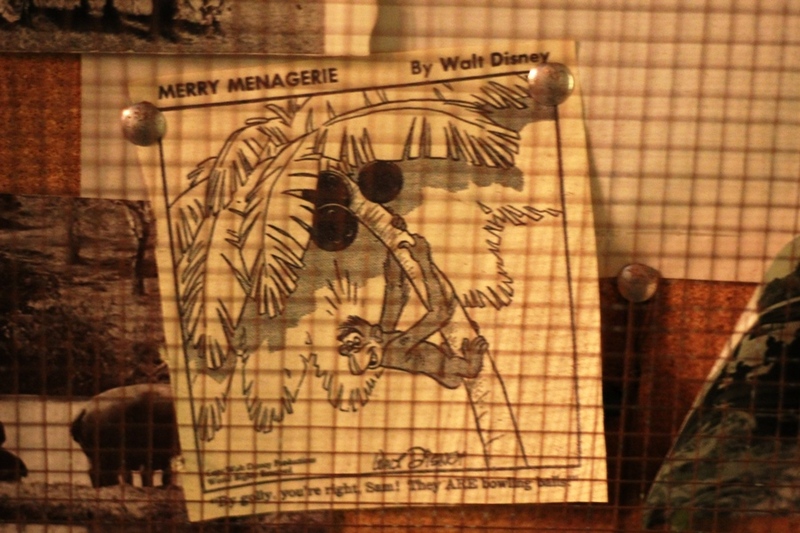 In this clipping posted on the bulletin board of the Jungle Navigation Company Skipper Canteen, shows a monkey having climbed a tree after a coconut. He yells down to his friend, “By golly, you’re right, Sam! They ARE bowling balls!” It’s witty, good for a momentary chuckle, before moving on through the rest of the funny pages. 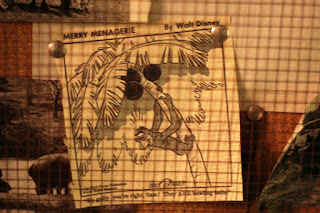 The cartoon is signed by Walt Disney, but most of us have likely never heard of Merry Menagerie, which means that there is a story here worth uncovering. Let’s start off with that signature. Walt Disney may have his name on the bottom of each Merry Menagerie cartoon, but this isn’t his artwork. In fact, by the time this specific cartoon ran in 1954, Walt hadn’t been drawing characters himself for decades. The credit for Merry Menagerie artwork actually to Bob Grant, whose other comic strip creations of Pluto, Little Hiawatha, and Scamp are more readily recognized. On the script side of the strip was Bob Karp, better known for his work on between 1938 and 1974. Remarkably, Grant and Karp were the complete Merry Menagerie team for the strip’s entire fifteen year run. Merry Menagerie was a single panel comic strip that ran from 1947 through 1962 and was distributed through King Features Syndicate. While the style of the comic is distinctly Disney, there were no recognizable characters in the strip. Furthermore, none of the animals that appeared in a given strip were recurring characters, meaning each day’s comic strip was self-contained and needed no other knowledge to be enjoyed. While Merry Menagerie isn’t readily recognized today, it definitely has a Disney feel to it and it plays well with the story and comedy of the Skipper Canteen. In fact, I can absolutely see a Jungle Cruise skipper reading this and remarking about how one of their fellow skippers would totally mistake a coconut for a bowling ball as they pinned the cartoon to the bulletin board. In 1971 Fort Wilderness opened in Walt Disney World later than its two resort siblings, the Contemporary Resort and Polynesian Village. 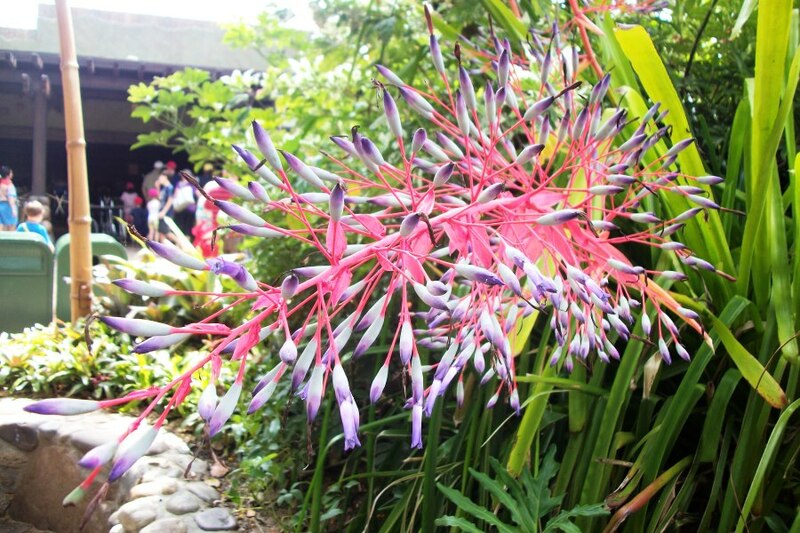 The campground, however, never ceased to stop growing in its first decade. 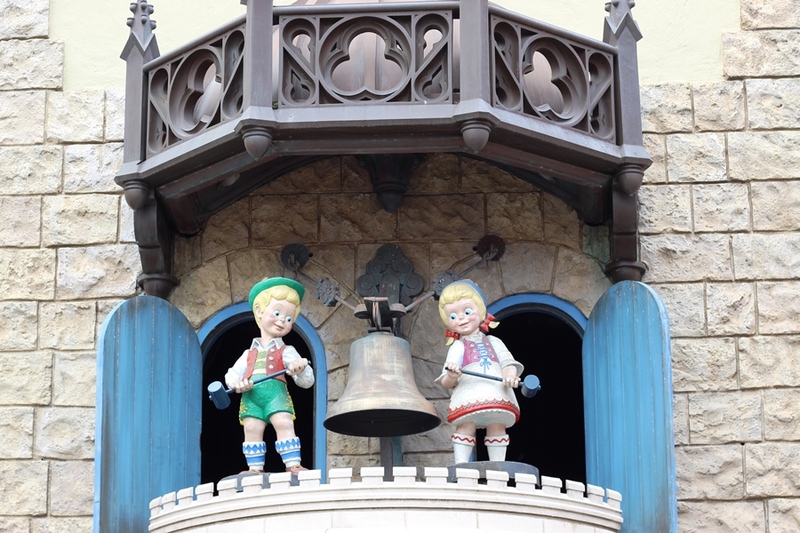 It had originally opened with 250 campsites, with the Fort Wilderness Railroad riding the rails in 1973, and Pioneer Hall, with its Hoop Dee Doo Musical Revue, springing up in 1974. By 1975, however, it was clear that further growth was needed. Fort Wilderness had maintained an occupancy rate of 83% by 1975. Keep in mind that this is for a campground where it does get wet and cold for a few months out of the year in Florida, and yet guests continued to pop up their tents and pull in their trailers. 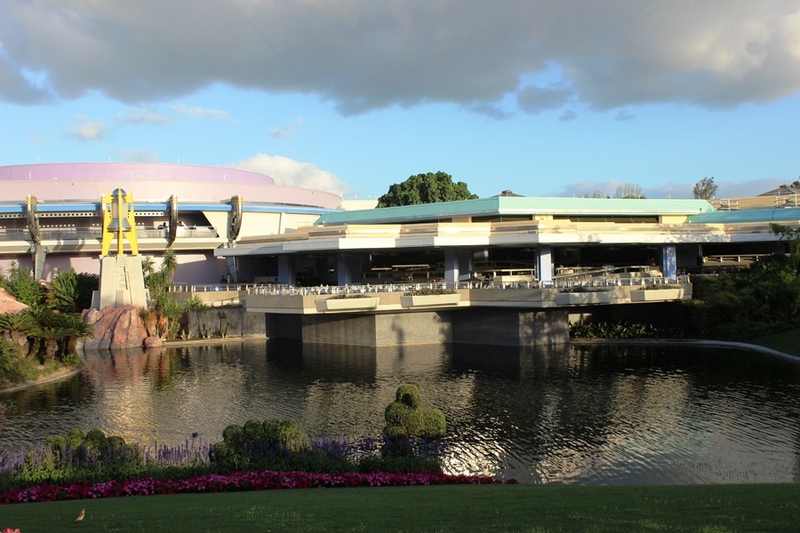 An expansion was planned to open in 1976 and would include 118 new campsites, the Meadows Swimmin’ Pool, snack bar, and arcade, and Walt Disney World’s first water park, River Country. With all of the construction taking place in Fort Wilderness, it was bound to disturb the natural beauty and tranquility of the campground that guests had come to know and love. To head off potential complaints, as much as one could head off complaints, Fort Wilderness whipped up a charming little flyer that not only explained the construction but could be used for promotion of all the things coming in the next year. Surely, more than one family booked another trip to the campground based upon this flyer filled with classic Disney charm. The stories of Trader Sam’s Grog Grotto are many, and its place within the story of Disney’s mythology is complex. 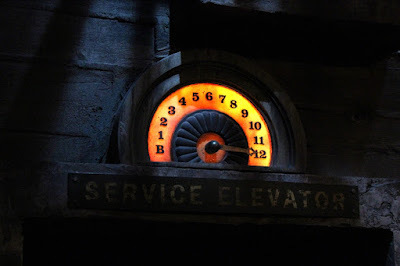 It is a vast storehouse of artifacts that tie in to many adventures of the Disney films, attractions, and stories. 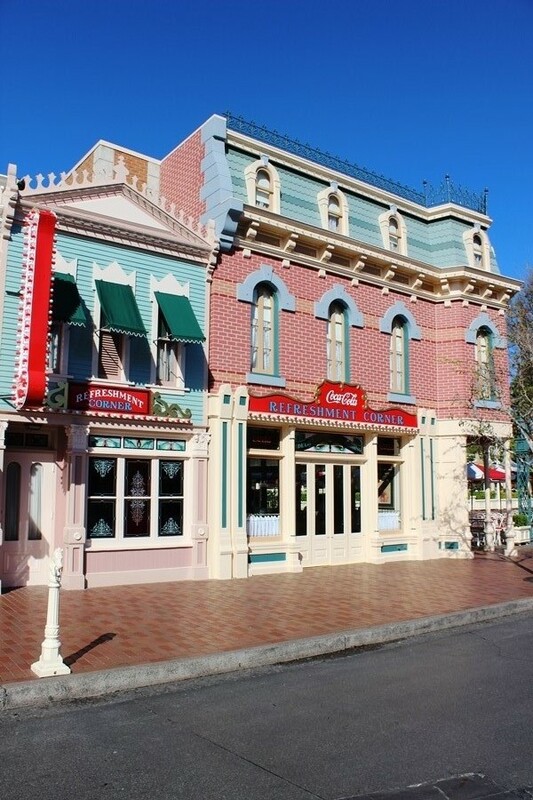 It resides in a space that recognizes both what has come before, the Adventurers Club, and where the current home to escapades, the Society of Explorers and Adventurers or S.E.A. There is overlap between the two adventure seeking organizations, but it is Trader Sam’s tie to a particular individual of the Adventurers Club that I’m most interested in at the moment. Trader Sam clearly values his friends and colleagues, as many of the correspondences that he has received are framed and placed upon the walls of the Grog Grotto. One postcard reads, “There is a man, a handsome man. As adventurous as he can be. 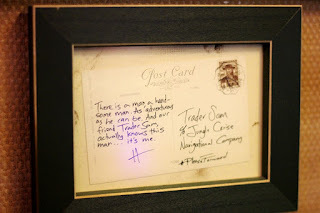 And our friend Trader Sam, actually knows this man… it’s me.” It is signed H, and is most certainly a callback to the days where the only home for adventures could be found on Pleasure Island. The H in question is none other than Hathaway Brown, the Adventurers Club’s resident aviator and ladies’ man. Often found with a drink in his hand and an innuendo on his lips, Hathaway was definitely bold and daring if, at times, his runway seemed a bit short. The postcard actually references one of the longstanding traditions of the Adventurers Club, the improvisation of “When the Saints Go Marching In” by various citizens of the Adventurers Club during the Hoopla show. This segment included verses that mocked or played up certain members of the club, or patrons in the audience. While each show and segment was unique, there were a couple of verses of “When the Saints Go marching In” that would come up from time to time. In this instance, Hathaway would use the same quote as is present on the back of Trader Sam’s postcard, but instead of referencing Sam, Hathaway’s song would instead call out the club’s treasurer, Otis Wren. There is a lot of overlap between Trader Sam’s, the Adventurers Club, and the S.E.A., but perhaps the most noteworthy is their sense of fun. Hathaway’s chide, whether directed at either Otis T. Wren or Trader Sam, is a quirky reminder of that spirit. It also reminds us that while something may be gone, it still can live on with us. I love this photo! This collection of entertainers, Cast Members, and characters are coming together to celebrate a guest milestone that hasn’t even happened yet. 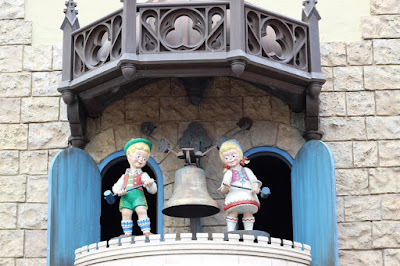 Regardless of the current “Long Lost Friends” promotion that has some of these characters back out on Main Street, U.S.A., there are still some of these faces we barely see anymore. I’m looking at you, Walrus from Alice in Wonderland! The real drive of this photo, however, is that everyone is excited and the anticipation is building for the 200,000,000 guest’s arrival. 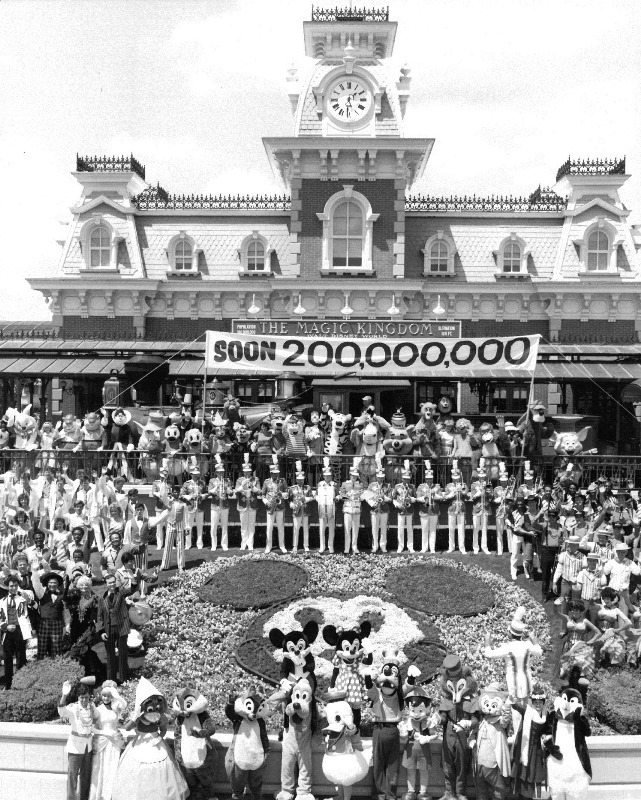 This photo was taken during May of 1985, with the 200,000,000 guest expected to come through the turnstiles of the Magic Kingdom sometime in July of that year. The theme of 1985’s summer was the Star Spangled Summer Salute to America, which I assume was taken off of a suggestion card from the Muppet, Sam the American Eagle, on a visit to Walt Disney World. Attendance had grown at the Vacation Kingdom since the opening of EPCOT Center in 1982, which would help the resort reach the landmark attendance number within its first fifteen years of operation. Using 2017 statistics, the latest available, Walt Disney World is averaging 52,000,000 guests per year, which means it would only take four years to reach the same goal in the present day. 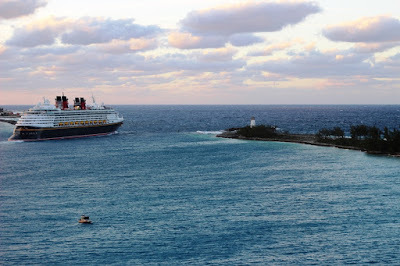 Now, both figures include guests that visited multiple parks, but isolating individual guests doesn’t make those crowd levels and packed walkways seem any less busy. We haven’t seen a large group photo like this in Walt Disney World in a while, which is a shame. I love the comradery and the sense of purpose and mission the photo seems to capture as they all look forward to a common goal. Not to mention being happy about what you’re working towards!